Do you have any New Years resolutions to start or complete a project? 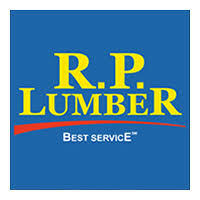 If so RP Lumber in Clinton may have what you need. Travis Sumner, RP Lumber store manager, indicated that they recently remodeled their store and doubled their inventory. Sumner said they have everything for the DIYers and the contractors. To check out the new store and inventory stop by 400 E. Macon St. in Clinton, one block North of the Sav-A-Lot. For more information visit rplumber.com or visit their Facebook page.